The credit bubble has burst. The economy is tanking. Investors in the U.S. stock market have lost more than $9 trillion since its peak a year ago. But in industries at the center of the crisis, plenty of top officials managed to emerge with substantial fortunes. Fifteen corporate chieftains of large home-building and financial-services firms each reaped more than $100 million in cash compensation and proceeds from stock sales during the past five years, according to a Wall Street Journal analysis. Four of those executives, including the heads of Lehman Brothers Holdings Inc. and Bear Stearns Cos., ran companies that have filed for bankruptcy protection or seen their share prices fall more than 90% from their peak. The study, which examined filings at 120 public companies in such sectors as banking, mortgage finance, student lending, stock brokerage and home building, showed that top executives and directors of the firms cashed out a total of more than $21 billion during the period. The issue of compensation and other rewards for corporate executives is front-and-center in the wake of the financial meltdown. Congress has held several hearings attacking Wall Street chieftains and others for perceived excesses given the state of their companies and the economy. America's boardrooms also are wrestling with the issue, trying to formulate pay plans that give proper long-term incentives. Some experts say huge paydays inevitably coincide with economic booms. In the tech bubble of the late 1990s, more than 50 individuals each made more than $100 million from selling shares just prior to the crash. Many had just founded companies that had never turned a profit. "The system tends to reward people for participating in bubbles," says Roy C. Smith, a finance professor at New York University's business school. Mr. Smith, a former partner of Goldman Sachs Group Inc., says that almost nobody anticipated the recent collapse. Still, some firms are taking action to change their compensation systems. This week, Goldman Sachs, which recently received government funds, said its top brass would forgo bonuses for this year. Swiss banking giant UBS AG said it would hold some future compensation for executives in escrow, and pay it out only for strong long-term performance. Many executives highlighted in the Wall Street Journal study defended their compensation, noting that the cash they took out was tied to strong financial results and that shareholders flourished along with them. Some officials executed regularly scheduled sales of stock. Others exhibited good timing in stock sales, cashing out shares months or years before the market's steep decline. Most of those at the top of the list retained far more shares than they sold, meaning that their paper losses exceed the amount they took out of their companies. Some are founders or longtime executives who had built up equity over decades. Others on the list left their companies long before the crisis hit. In a surprising finding, home-building executives often made more money than better-known Wall Street titans. 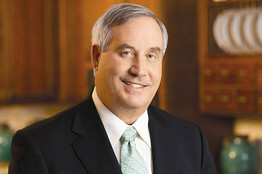 One is Dwight Schar, chairman of NVR Inc., a Reston, Va., home builder best known as the parent of Ryan Homes. He made more than $625 million in the five years, nearly all of it from selling stock. NVR's stock, though down 64% from its 2005 peak, has held up better than that of many rivals, in part because the company didn't buy vacant land on which to build its mostly midpriced homes. Mr. Schar's own home these days is an 11-acre oceanfront compound in Palm Beach, Fla., with a tennis court, and two pools, purchased in 2004 and 2005 for $85.6 million from billionaire investor Ronald O. Perelman, according to county officials. Through a spokesman, Mr. Schar declined to comment. In its study, the Journal analyzed the compensation and stock sales of insiders at financial and housing-related companies over a five year period. The study used compensation data from Standard & Poor's ExecuComp and stock-trading information from InsiderScore.com. The goal was to determine how much cash insiders actually collected, including salary, bonus, and cash realized from stock-option exercises and open-market sales of stock. The tally doesn't include paper profits from vesting of restricted stock or exercising options, unless the executive sold the resulting shares. By surveying entire industry groups, the Journal's study includes some companies that are under intense regulatory and law enforcement scrutiny because of their actions during the bubble. It also includes firms merely swept up in the crisis, as well as those performing well considering the economy. For example, Charles Schwab, chairman and founder of the brokerage company that bears his name, realized $817 million over the five years, almost all through stock sales. A spokesman says Mr. Schwab, 72, regularly sells stock to diversify his holdings and pursue charitable activities, and still holds a 17% stake. Schwab shares are up over the past five years and have held up well in the downturn. Mr. Schwab and his wife have established a charitable foundation that gives millions annually to help children with learning disabilities, among other causes. Six of those who made more than $100 million headed home builders, the Journal analysis found. One is Robert Toll, CEO of Toll Brothers Inc., a Horsham, Pa., firm known for building deluxe suburban homes. Mr. Toll and brother Bruce Toll, a company director, together garnered $773 million in compensation and stock proceeds over the five-year period. A big chunk of Robert Toll's stock sales were in a one-month period just as Toll Brothers' stock roared to its all-time peak in mid-2005. It's off 73% since then. A Toll Brothers spokeswoman declined to discuss the timing of stock sales. She said the CEO's compensation is based on performance and that his stock gains resulted from equity he built up as a founder of the company. The list includes some familiar names, such as Angelo Mozilo, who realized $471 million during the five-year period as he piloted Countrywide Financial Corp. into a leading subprime lender. Amid huge losses, Countrywide was sold earlier this year to Bank of America Corp. Mr. Mozilo defended his pay before Congress earlier this year, saying his compensation was tied to performance and he had built up equity over decades as a founder. Some who made large sums before the recent crisis don't appear on the list because their wealth isn't detailed in securities filings. These include hedge fund chiefs, Wall Street traders, and executives who sold their companies outright. In 2006, Herbert and Marion Sandler reaped more than $2 billion selling their mortgage lender, Golden West Financial Corp., to Wachovia Corp. Analysts have said losses in Golden West's loan portfolio contributed to Wachovia's subsequent downfall. Wells Fargo & Co. has agreed to buy Wachovia. Mr. Sandler, 77, defends Golden West's underwriting and says its loan losses weren't big enough to bring down Wachovia. Mr. Sandler, who pledges to give the proceeds of the sale to charity, adds that he held on to an "extremely material" amount of Wachovia stock, which lost 90% of its value since early 2007. "If we had foreseen what was going to happen, we would have sold all our stock," he says. R. Chad Dreier, 61, chairman and chief executive of Ryland Group Inc., a Calabasas, Calif., home builder, made $181 million over the five-year period. Specializing in mid-range homes, Ryland did well in the boom, entering into hot markets, such as Las Vegas and Ft. Myers, Fla. Most of its buyers financed homes through Ryland's in-house mortgage unit, some through controversial interest-only mortgages. GOOD TIMING: R. Chad Dreier, chief of home builder Ryland Group Inc., cashed out $181 million over a five-year period. Mr. Dreier's bonuses, many tied to short-term profits, totaled $31.2 million in 2005 and 2006 alone. Ryland paid him another $20.5 million over the five years to cover some of his tax bills. He made another $85 million from stock sales, most of them regularly scheduled. Next door to his 4,900-square-foot hilltop house in Santa Barbara, Calif., a Dreier private company owns an office building that houses Mr. Dreier's collection of baseball cards, sports memorabilia, gems, minerals and other items. State records say he owns several cars, including a 2004 Porsche coupe worth $448,000. Mr. Dreier has donated at least $6.5 million to Loyola Marymount University. After posting huge profits during the bubble years, Ryland has reported hefty losses since last year amid plunging home sales. Its stock price is down 85% from its 2005 closing high. Through a spokesman, Mr. Dreier declined comment. The spokesman says Mr. Dreier's pay was "very closely tied to performance." He adds that the housing business is cyclical, and the Ryland chief's pay has sharply declined with the market. Wall Street once had a voracious appetite for student-loan debt. Ten insiders at First Marblehead Corp. seized the opening, receiving a total of about $660 million, mostly through stock sales over five years. Student-loan entrepreneur Daniel Meyers races his 66-foot sailing yacht. Based in Boston, First Marblehead specializes in "private student loans." Students take out the loans if they've exhausted the cheaper government-backed variety. As with subprime mortgages, those with poor credit histories must pay higher interest rates. First Marblehead helped big banks, such as Bank of America and J.P. Morgan Chase & Co., put together student-loan programs. First Marblehead earned rich fees assembling and servicing packages of the debt sold to investors. Chief Executive Daniel Meyers, a 46-year-old former arbitrage and derivatives trader, received almost $96 million in cash compensation and proceeds from stock sales over five years. Lee Jacobson, a First Marblehead spokesman, notes that Mr. Meyers co-founded the company in 1991 and didn't sell any shares until First Marblehead's October 2003 initial public offering. In 2004, Mr. Meyers bought a Spanish-style villa in Newport, R.I., the summer retreat of industrialists a century ago. He paid $10.3 million for the estate, on 45 acres with sweeping views of the Atlantic. Mr. Meyers tore down the villa and is constructing a five-building, 38,000-square-foot compound called Seaward with a carriage house, a guest house and a caretaker's cottage. 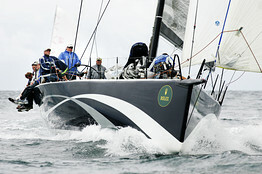 Mr. Meyers also owns a 66-foot sailing yacht, which he recently raced to a win at the famed Newport Regatta. In 2004, Mr. Meyers made a $22 million gift to the University of Virginia's Curry School of Education. Leslie Alexander, the 65-year-old owner of the Houston Rockets and until recently a First Marblehead director, cashed out $288 million in stock over the five-year period. In the credit crunch, First Marblehead's business ground to a halt after investors abandoned private student loans, which are experiencing rising defaults. Shares recently sold for about 75 cents apiece, down 99% from their January 2007 peak. The company's stock-market value is now roughly $75 million, about one-ninth of the amount that insiders cashed out of the company. Mr. Jacobson notes that Mr. Alexander still owns 18.5% of First Marblehead, and Mr. Meyers retains 7%. He adds: "Both men have suffered significant losses alongside other long-term holders of the stock." Robert K. Cole, Edward Gotschall and Brad Morrice, three mortgage industry veterans, founded New Century Financial Corp. in 1995. By the peak of the boom, it was the nation's second-largest subprime lender. The Irvine, Calif.-based company promoted mortgages that customers could apply for by merely stating their income with no documentation. Over four years, the three executives received cash compensation and stock proceeds totaling $74 million, including estimates of their 2006 pay cited in a report by a court-appointed investigator after the company filed for bankruptcy protection. Mr. Cole, who was CEO for some of the period, lives in a 9,200-square-foot oceanfront home in Laguna Beach, Calif., that has a tax value of $30 million. New Century Financial executives have been known as generous philanthropists in California. Mr. Gotschall's foundation gave $3 million in 2005 to a local hospital, which is naming a trauma center after his family. In 2007, New Century filed for bankruptcy protection. New Century has said its accounting is under investigation by the Securities and Exchange Commission and the Justice Department. In March, the court-appointed investigator filed a report in U.S. Bankruptcy Court in Delaware, alleging the company engaged in imprudent business practices and improper accounting, though he found insufficient evidence to determine earnings manipulation. Calling New Century's mortgage business "a ticking time bomb," he faulted the company for tying pay to loan volume and disregarding mortgage quality. The examiner said creditors had grounds to try to recover millions of dollars of bonuses paid in 2005 and 2006. Manny Abascal, an attorney for Mr. Cole, said the founders' compensation was approved by outside directors and was "fully disclosed to investors." Mr. Abascal said the founders "held onto the vast majority of their stock, and collectively lost approximately $200 million" when the company failed. Bert H. Deixler, an attorney for Mr. Morrice, said his client was "among the biggest victims of the collapse" of New Century, which he said was due to an "unforseen worldwide debt and liquidity crisis." An attorney for Mr. Gotschall declined comment. Michael Gooch made a fortune from the booming trade in credit-default swaps and other complex financial instruments now being blamed for fueling the financial crisis. Mr. Gooch, 50, is chief executive of GFI Group Inc., a leading broker of credit-default swaps. An immigrant from England, Mr. Gooch founded New York-based GFI two decades ago. It went public in 2005, and its stock nearly quintupled by late 2007. Credit-default swaps are private contracts, similar to insurance, that pay investors when a bond or company defaults. While boosters say swaps are a valuable hedging tool, critics call them a toxic invention that fanned the flames of the mortgage meltdown. With the swaps market contracting and Congress calling for regulation, GFI's stock price has tumbled, recently closing nearly 90% below its high of last November. Mr. Gooch, through a holding company, sold about $77 million in stock, most of it in May 2006. He says the aim was to diversify his personal investments. "In May 2006, nobody could have predicted the credit bust," he says. He also notes that his holding company still owns 43% of GFI's stock, and that trading credit derivatives is only a part of GFI's business. Not long after GFI went public, Mr. Gooch bought a 152-foot sailing yacht that had been listed for sale at $12.9 million. Mr. Gooch lives in a 10,000-square-foot, seven-bedroom house on the water in Rumson, N.J, with an elevator, pool and tennis court. He also owns a waterfront home in Delray Beach, Fla., and a Colorado ski condo. Unlike some executives, who used shares in their companies as collateral to borrow money and then were forced to sell in the downturn, Mr. Gooch says his only major debt is a $1 million mortgage. "It could be paid off with the spare change in my bank account," he says. For its compensation and stock-proceeds study, The Wall Street Journal used the Standard & Poor's ExecuComp database to generate a list of public companies in industries closely tied to the financial crisis. The list included banks, mortgage-finance companies, mortgage insurers, student-loan firms, multiline insurers, investment banks, brokers, and home builders. The paper excluded the smallest companies, based on stock-market value at the end of 2005, winnowing the list to about 120 firms. 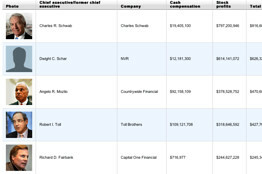 To find cash compensation paid to top executives at these firms, the Journal used data compiled by ExecuComp, which gathers executive-pay information filed by companies with the Securities and Exchange Commission. The analysis included each company's most recently reported five fiscal years of compensation information. Companies are required to file pay information for their most highly-paid officers, usually the top five. The Journal counted only certain categories of pay, including salary, bonus, payouts from long-term incentive plans and miscellaneous compensation that experts consider equivalent to cash. It didn't include any cash paid to directors. The Journal also didn't include the value of exit packages for any executives unless those sums were reported in annual pay tables. To determine the value extracted from stock sales, the Journal relied on data from InsiderScore.com, which analyzes information on stock purchases, sales, option exercises and other transactions filed with the SEC. The analysis sought to look only at individual executives and directors, not institutional owners. For each individual, InsiderScore toted up the gross value of stock sales, then subtracted any out-of-pocket expenditures in the period, including open-market purchases of stock and the cost of exercising stock options. The tally didn't include paper profits from vesting of restricted stock or exercising options, unless the executive sold the resulting shares. It also didn't attempt to estimate the original purchase price, or basis, for any shares sold in the period. The study included stock transactions from July 1, 2003, through June 30, 2008. For CEOs or former CEOs of the 120 companies, the Journal generated a list of those who made the most by adding the sums each person received in the two categories. The paper also generated a total of all cash compensation and stock proceeds extracted by top executives and directors of the 120 companies.